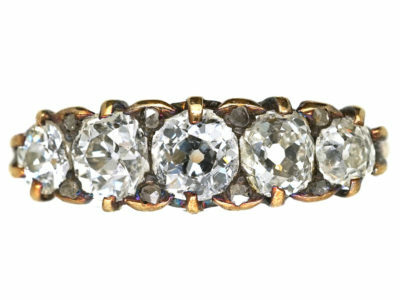 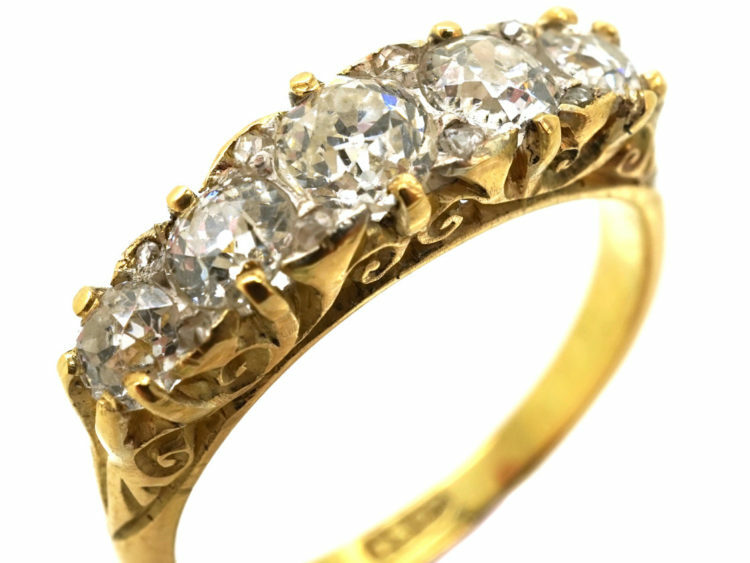 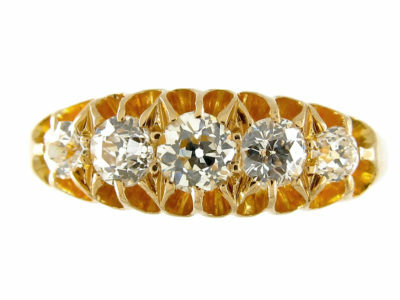 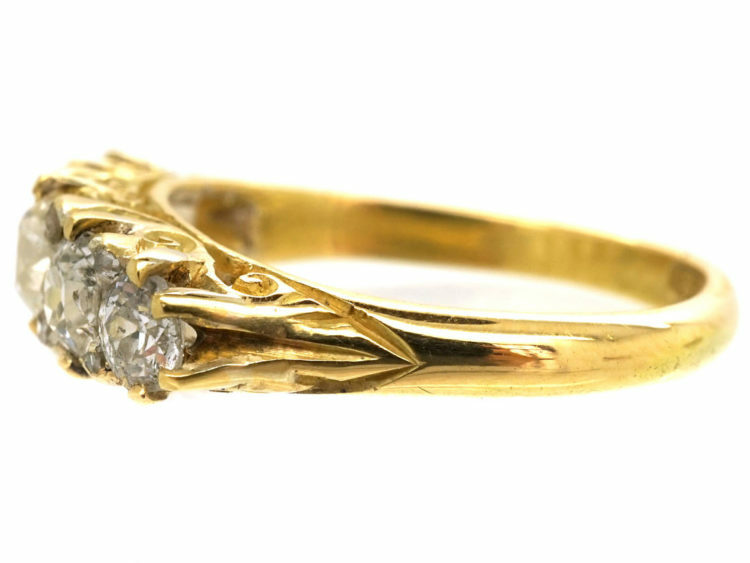 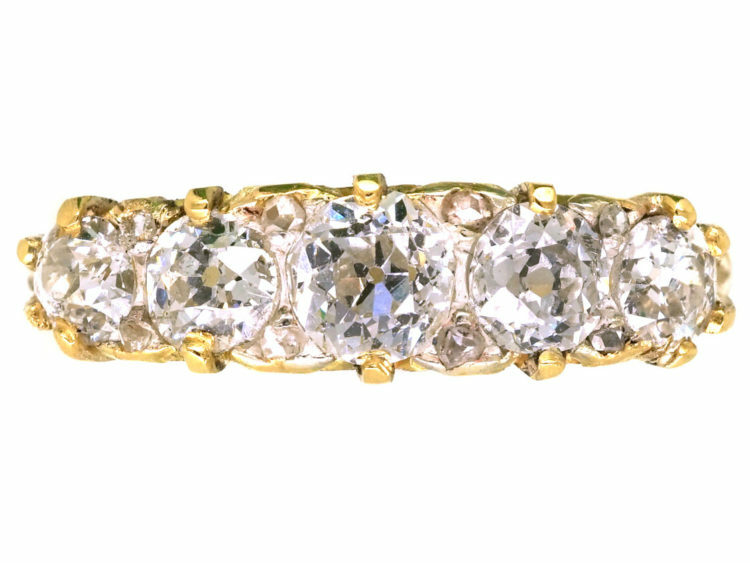 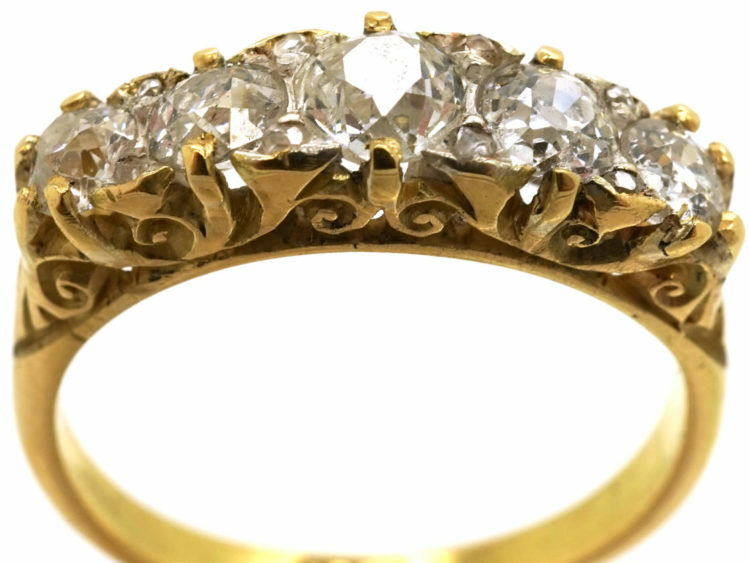 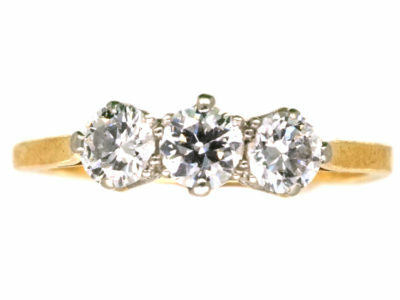 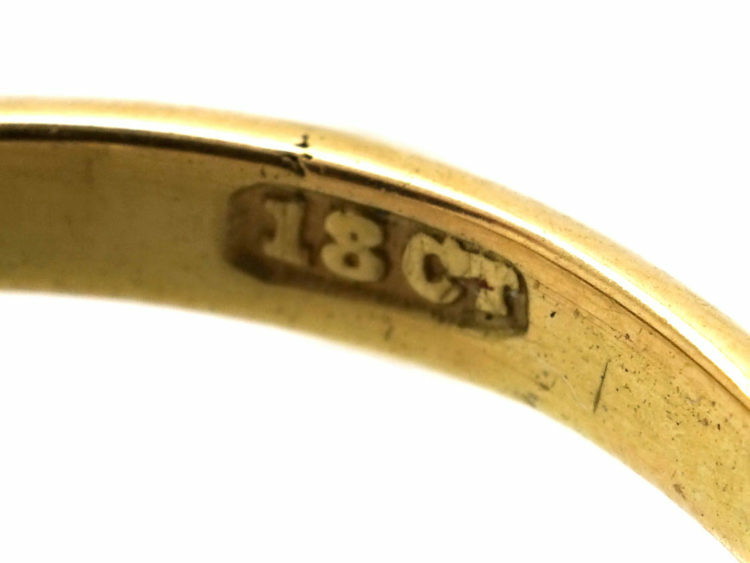 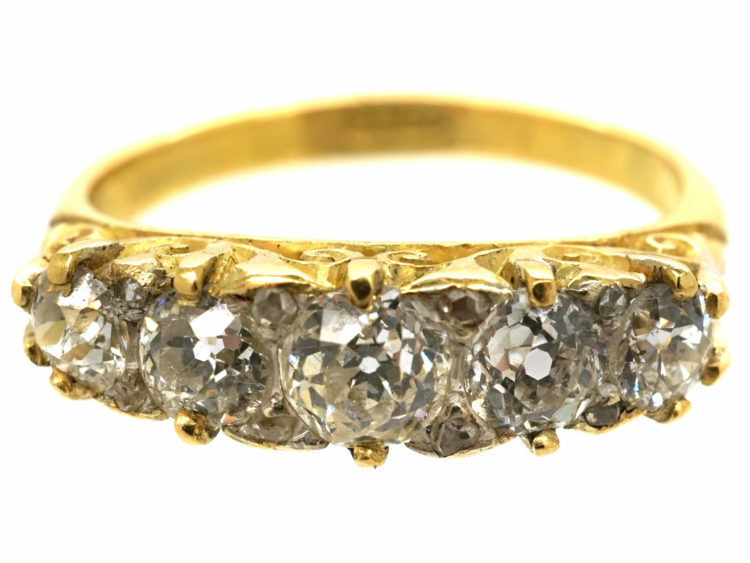 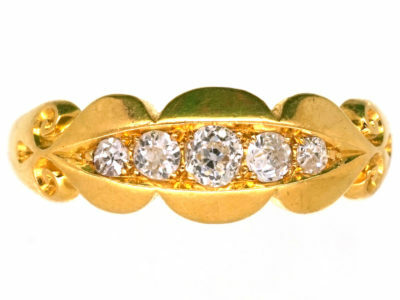 A wonderful 18ct gold five stone diamond ring. 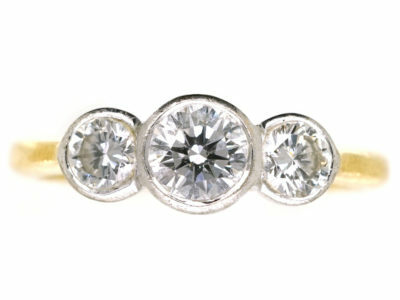 The old mine cut diamonds are very well matched bright stones and have a total weight of nearly one carat. 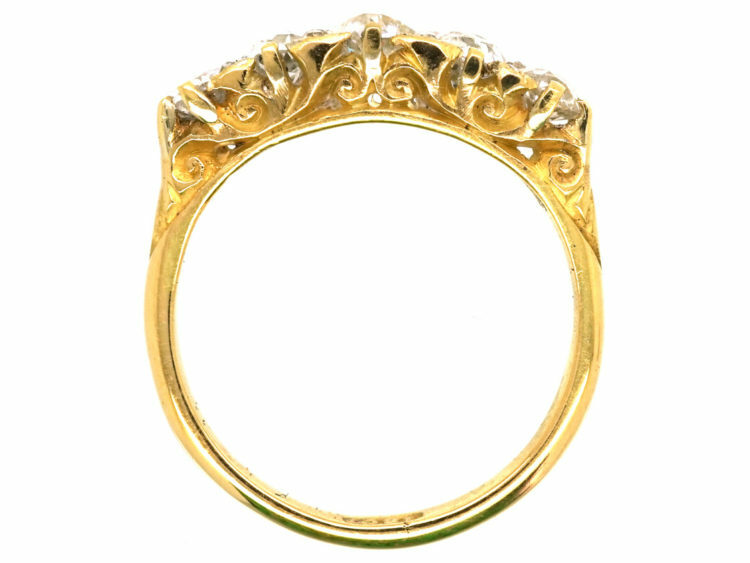 The shank is called a carved half hoop because of the pierced scroll work on the sides. 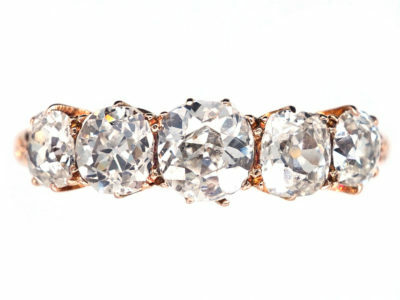 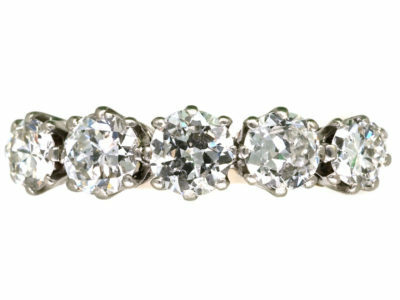 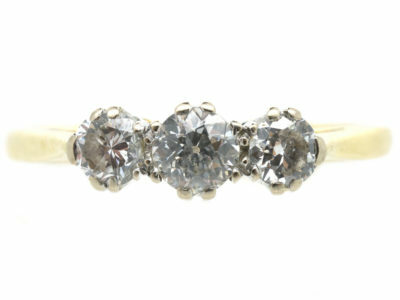 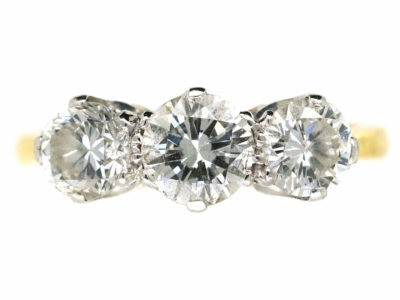 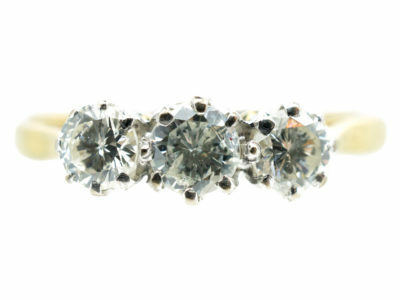 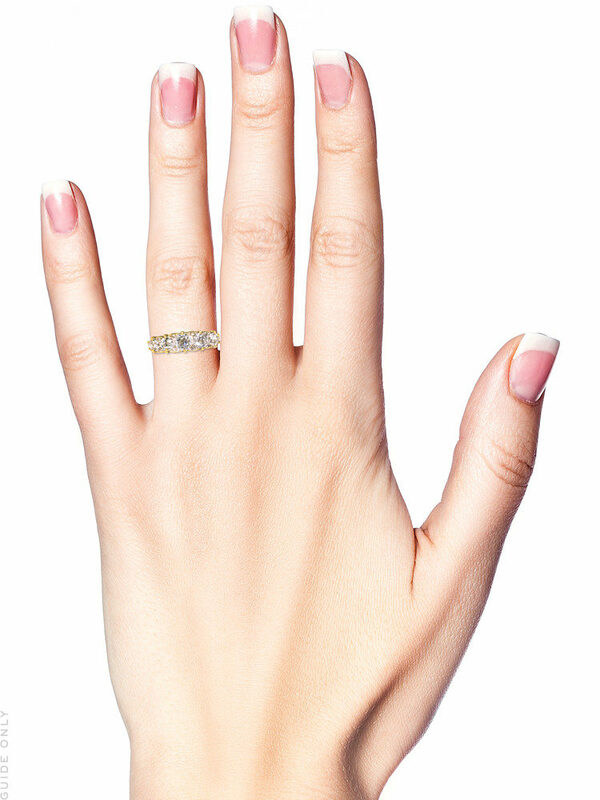 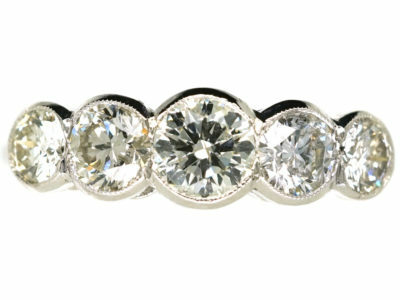 There are tiny rose diamonds in between the large diamonds that give the ring a good line. 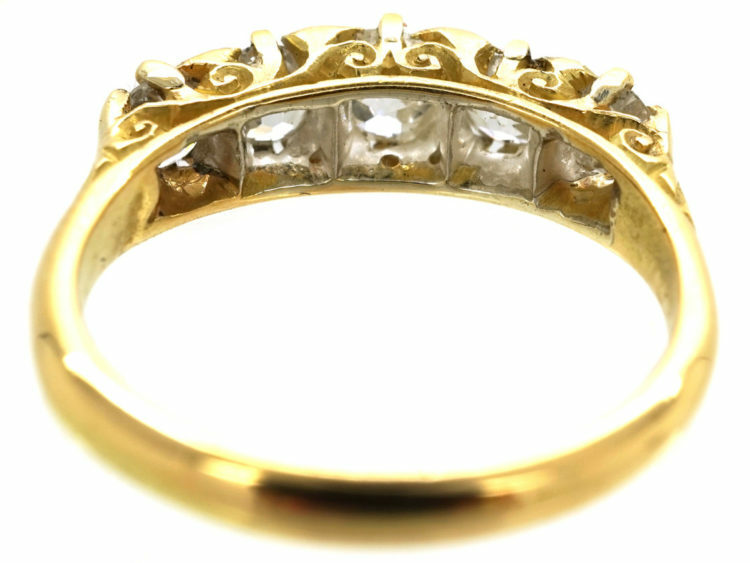 These rings are hard to find nowadays in good condition. 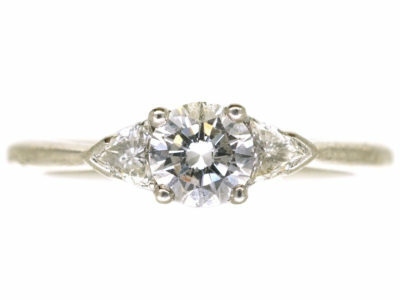 It would be a marvellous and special engagement ring.